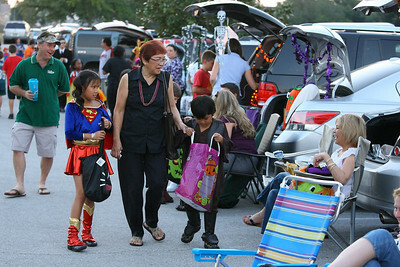 Chad Soriano PhotoBlog: Trunk or Treat ! 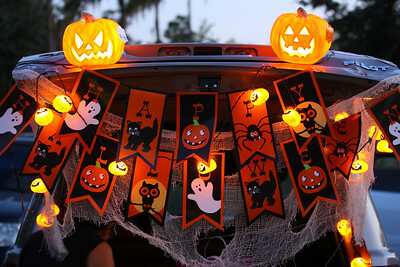 The parade of ghostly goblins and wicked witches danced around the candy filled trunks row after row like cemetery tombstones. Halloween started a week early for my kid's elementary school with the annual Trunk or Treat. Only foolish haunted spirits dare to spook our sweet filled trunk. The elixir of "Liver and Onions" for my wife's dinner cast a no trespass spell until the meat poison was all consumed. 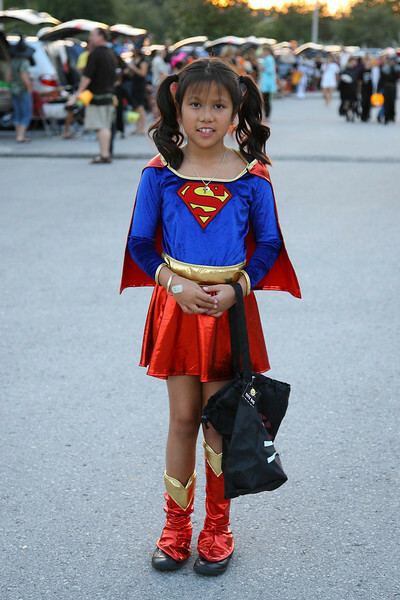 Call my daughter the Filipina Helen Carter of Supergirl. My middle school days in 1984 were filled a many with the Superman series. My daughter feared the liver and onions more than Kryptonite. My son came to the sad reality of the Jedi mind trick. Maybe next year he can be the Filipino Superman. 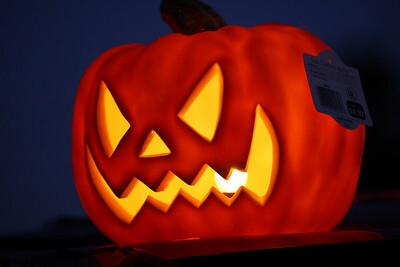 ChadSorianoPhotoBlog wishes everybody a Happy Halloween a week early. You can view more in my Trunk or Treat 2010 Gallery shot with the Canon EOS 1D Mark III with the Canon EF 24-105mm f/4L IS and the EF 70-200mm f/4L IS lenses. 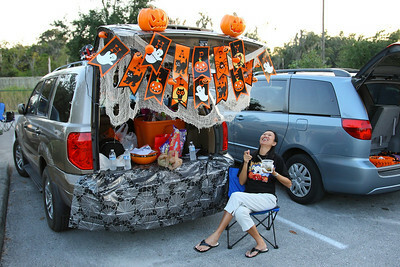 I just posted a current Trunk or Treat 2012 on my blog. Check out new decorated trunks and cute costumes shot with the Canon Rebel T4i/650D. You could buy any type of taste as well as felt visit website you could be certain that troubles will not be much away.